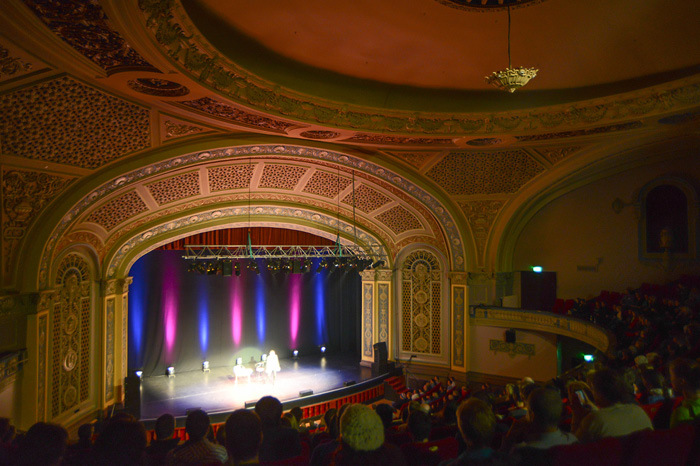 With an auditorium that seats 1617 people and state of the art infrastructure, the Regent Theatre is Dunedin’s premier entertainment venue. The complex consists of three buildings – the original Ross building (1876), the theatre auditorium (1928) and the fly tower, stage and dressing rooms (1980-81). The maintenance of the theatre has remained true to its historical roots, and it is the only large live theatre venue with a proscenium arch in the Otago area. The Regent Theatre have a number of Wheelchair seats, as well as, companion seats available.